Episode 109 – Perry White Super Editor! In episode 109 of the Superman Forever Radio Podcast host Bob Fisher pulls the name Perry White out of his “Super Bowl of Super Topics”. What does Bob have to say about Perry White and why did he choose Action Comics 278 to talk about? Listen now to hear what Bob really thinks about Perry White, the actors who played him and a comic where Perry gets Super powers. 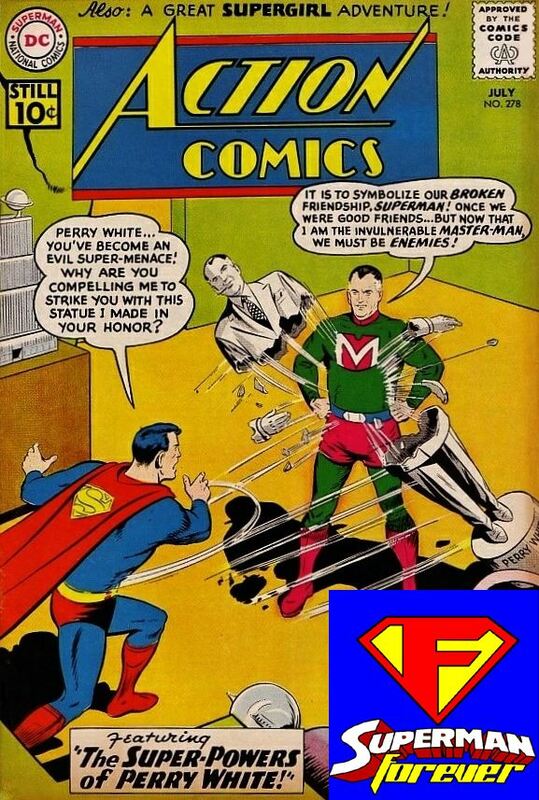 All this and more in episode 109 of the Superman Forever Radio podcast. Previous PostEpisode 108 – Nature or Nurture?Next PostEpisode 110 – Lex Luthor The Greatest Criminal Mind of Our Time!